Sometimes games aren't to your exact liking. If you have computer skills, maybe you can create a mod. If you have computer skills and developed the game, well, you can do that, too. J.E. Sawyer, who worked as project director on Fallout: New Vegas and the game's DLC, created a mod for his own playthroughs. As Shacknews (via website No Mutants Allowed) pointed out, the mod increases the number of weapons and armor and cuts the level cap, XP gain, health, and healing. The mod is available via Sawyer. You will need all Fallout: New Vegas DLC installed as well as the pre-order bonus packs and Fallout Mod Manager. So why did Sawyer release a mod instead of a patch? "The game's over," he wrote. "The ship has sailed. No one is working on it anymore. No testers, nothing. This mod is just me working in my free time. If I horribly botch something, you can just un-check the mod and go on your way." Sounds good to me. 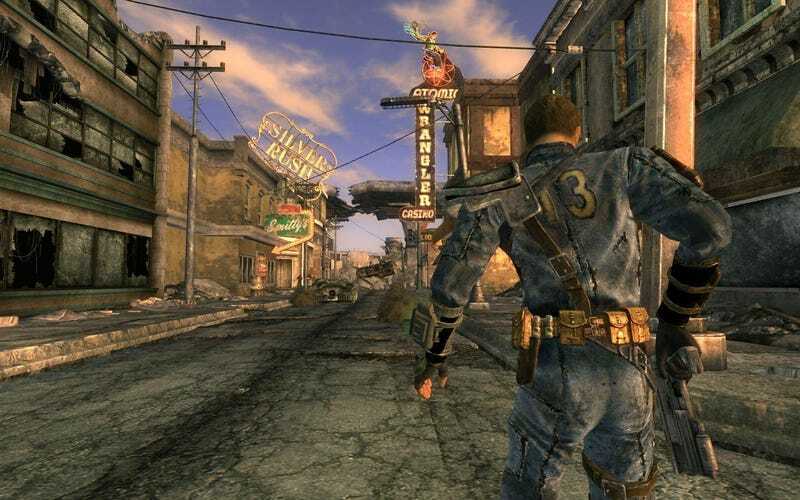 Fallout: New Vegas was originally released in Oct. 2010.